“Chester Englander has over the past few years established himself as the go-to cimbalom player with American orchestras. He has mastered the instrument’s unique complexities, and his experience as a percussionist (Los Angeles Philharmonic and Cleveland Orchestra among them) makes him the ideal ensemble player when cimbalom is called for. 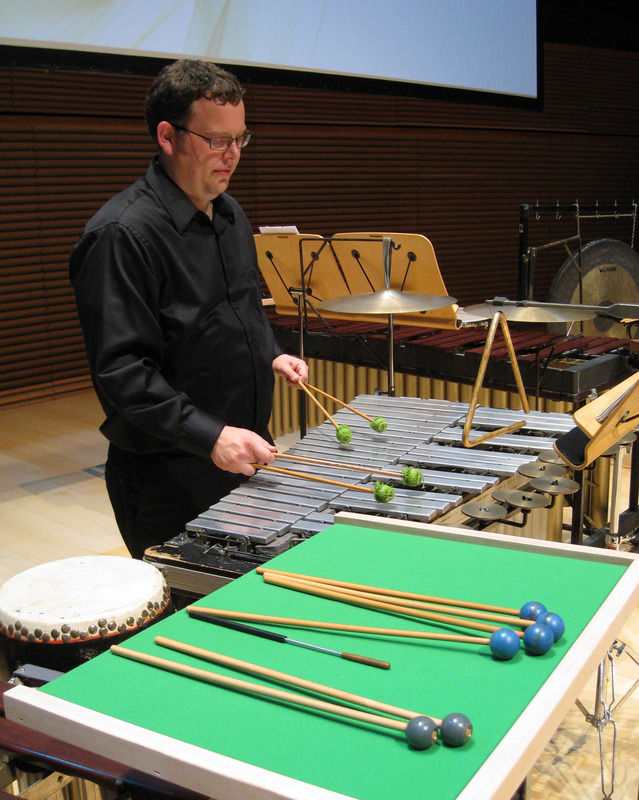 Acclaimed for his “unnerving dexterity” (San Francisco Chronicle), his “boldly played” (Los Angeles Times), “vivid” (The New York Times), and “expert” (St. Louis Post-Dispatch) performances as the solo cimbalom of John Adams’ Scheherazade.2, and praised by the NYT for the “brilliant clarity” of his performance of the featured cimbalom part within Mr. Adams’ The Gospel According to the Other Mary, GRAMMY®-nominated artist Chester Englander has a thriving career as a percussionist and concert cimbalom player with orchestras throughout the country. 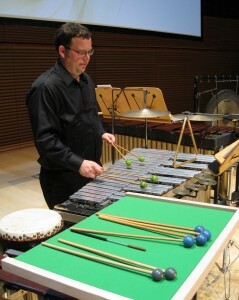 Chester has performed on percussion and/or cimbalom with the Los Angeles Philharmonic, the San Francisco Symphony, the New York Philharmonic, The Cleveland Orchestra, the Chicago Symphony, the Boston Symphony, the National Symphony, the Minnesota Orchestra, the Pittsburgh Symphony, the San Diego Symphony, the Saint Louis Symphony, the Seattle Symphony, the Oregon Symphony, the Rochester Philharmonic, the Buffalo Philharmonic, the Atlanta Symphony, the Cincinnati Symphony, the Toronto Symphony, the Iceland Symphony, the Israel Philharmonic, and the New World Symphony. Chester has played under a long list of esteemed conductors, including Pierre Boulez, Stephane Deneve, Christoph Von Dohnányi, Gustavo Dudamel, Charles Dutoit, Peter Eötvös, Christoph Eschenbach, Rafael Frühbeck de Burgos, Alan Gilbert, Vladimir Jurowski, Lorin Maazel, Susanna Mälkki, Zubin Mehta, David Robertson, Esa-Pekka Salonen, and Franz Welser-Möst. 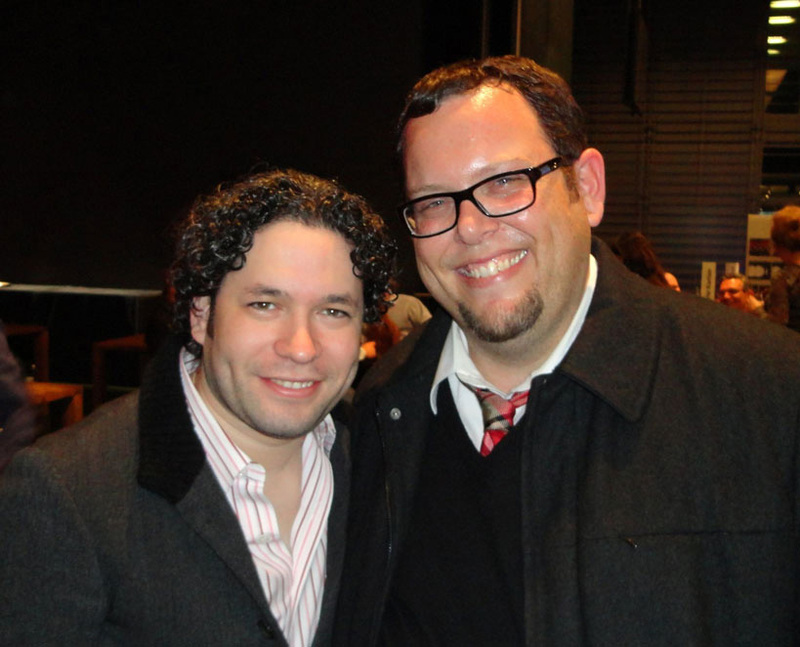 He has taken part in multiple world and U.S. premiere performances of orchestral and chamber works by several composers including John Adams, Thomas Adés, Louis Andriessen, Unsuk Chin, Peter Eötvös, Esa-Pekka Salonen, Dmitri Shostakovich, Mark Wigglesworth, and Bernd Alois Zimmermann. Additionally, he directly collaborated with John Adams on the composition of the featured cimbalom parts for The Gospel According to the Other Mary and Scheherazade.2., and performed as Solo Cimbalom on the GRAMMY®-nominated recording of the latter (2016). Chester performed as a soloist with the L.A. Philharmonic New Music Group on two occasions, in 2008 as Glockenspiel soloist on Des Canyons aux Etoiles by Olivier Messiaen with Esa-Pekka Salonen conducting, and in 2010 as Percussion soloist on Pierced by David Lang with Jeffrey Milarsky conducting. He also performed as Solo Cimbalom for the U.S. 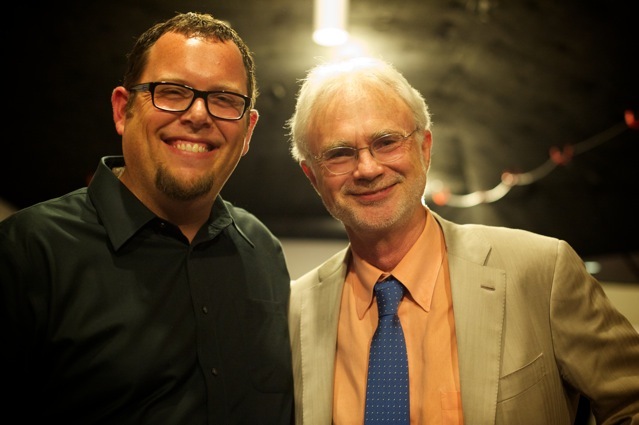 Premiere of da capo by Peter Eötvös with the composer conducting the New World Symphony in April 2015. Chester can be heard on the Cantaloupe, Deutsche Grammophon, Interscope, Naxos, Nonesuch, and Seattle Symphony Media labels, and will soon be heard on a new release on the Ablaze label as well. 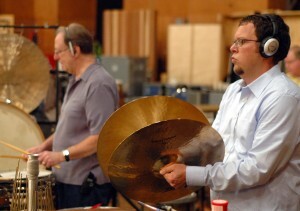 Chester can be seen on the DVD recording of the 2009 World Premiere of City Noir by John Adams with the Los Angeles Philharmonic, and he can also be heard playing percussion on the scores of the video game Resident Evil 5 by Capcom, Assassin’s Creed: Brotherhood by Ubisoft, and the movie Earth by DisneyNature. Chester also performed on The Tonight Show with Conan O’Brien with the band Vampire Weekend in 2009. He also played percussion on the recording of Reach For the Stars by will.i.am that was broadcast on Mars from the NASA Curiosity Rover. Chester Englander is Lecturer of Percussion and Director of Percussion Studies at Cleveland State University, and is an Artist Clinician for Pearl Drums/Adams Percussion and Freer Percussion Products. He and his lovely wife, violinist Rachel Englander, are proud parents to their adorable daughters Charlotte and Alice.